I started out being really pissed at David Duchovny. On January 3, 2017, my agent sent the manuscript of my third novel, entitled Miss Subways, out on submission to publishers. 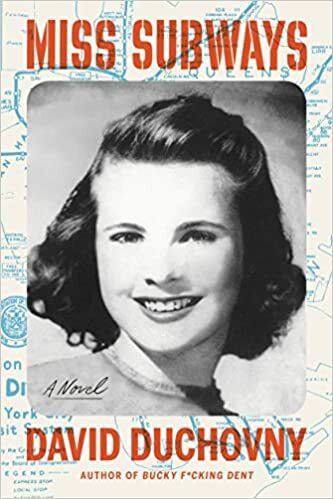 On January 9, 2017, the “Publishers Marketplace Daily Deals” e-newsletter announced that David Duchovny’s novel, entitled Miss Subways, had been sold to Farrar, Straus and Giroux for publication in Spring 2018. I sent an email to my agent asking her if this title hiccup would be a problem. Meanwhile, I swore under my breath at Duchovny for stealing my title, which I realized I wouldn’t get to use despite the fact that my novel was about the historic Miss Subways contest and his wasn’t; it was a supernatural novel, for goodness sake. My agent reassured me that it was no big deal. I decided that considering one novel called Miss Subways had sold, it was a propitious sign from the universe that a second would as well. Plus, I had made so many damn wishes on blown eyelashes at that point (I swear I didn’t pull any out just to have something to wish on), it just had to sell. And it did. But because of dear David and his curious choice for a title, my own had to be changed. The Subway Girls was suggested, and I snagged it like a stocking on a nail. As you’ve probably noticed, titles with Girls in them tend to sell like hotcakes, especially if said hotcakes are being flipped by the likes of Gillian Flynn and Paula Hawkins. -We have each published three novels. -He looks exactly like my brother Greg. -He was in Californication, and I’m from California. -He’s won two Golden Globes, and I’ve watched the Golden Globes. My dear friend, David, if you’re reading this, give me a call. I’d love to discuss our mutual fascination with the Miss Subways beauty contest. Even better, we could meet at Ellen’s Stardust Diner, amidst the radiant lights of Times Square, and share a slice of pie as we chat with Ellen herself—a Miss Subways in 1959—and stare delightedly at the many original Miss Subways posters that line her second floor. I’ll give you a copy of my book. You can choose the pie. I’ll show you a photo of my brother. And you can jocularly apologize for stealing my title. I’ll forgive you. I promise. 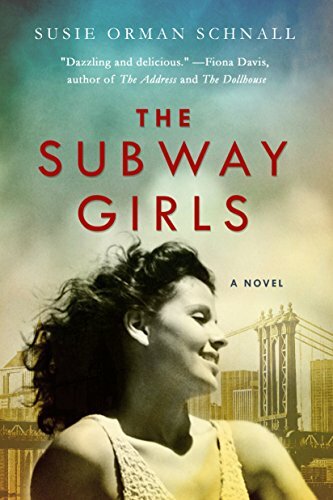 The Subway Girls is now available to purchase.